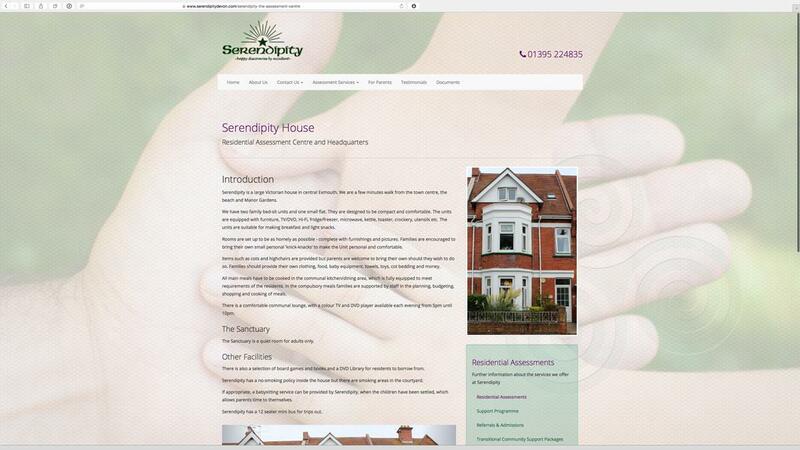 Serendipity is a family assessment centre just up the road from us in Exmouth. The service they provide is most relevant to social workers and law professionals who are seeking assessment of families that have had problems providing safe parenting to their children. 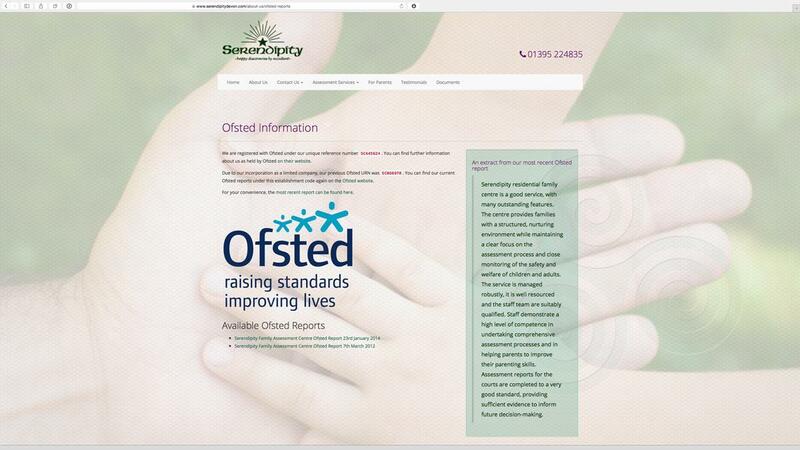 We worked closely with the team at Serendipity from the outset, re-writing and re-working existing copy from the old website and introducing structural changes to the site hierarchy to make information easier to find. 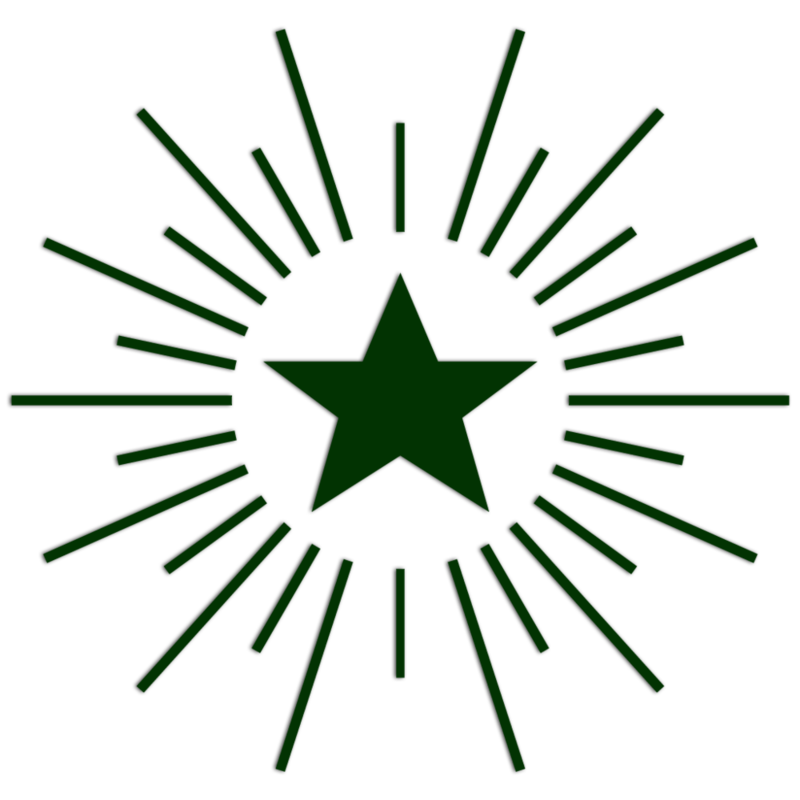 The website is now much more seach engine friendly and of course is fast to load on both mobiles and desktops. Within weeks of the site going live, it helped capture new clients, contibuting to an increase in revenue and resulting in a number of applications for important job vacancies. 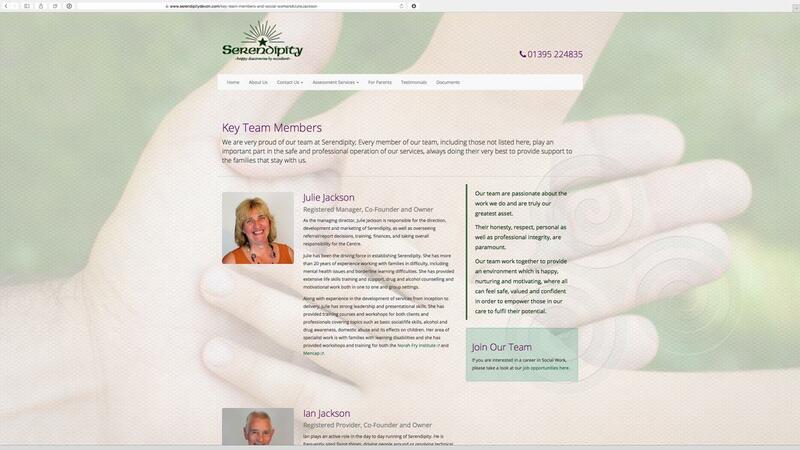 We look after most of Serendipity’s Internet needs including managing their Google Apps for Work domain (We look after their email accounts and email services), keeping their website up-to-date and looking after their bulk email marketing. 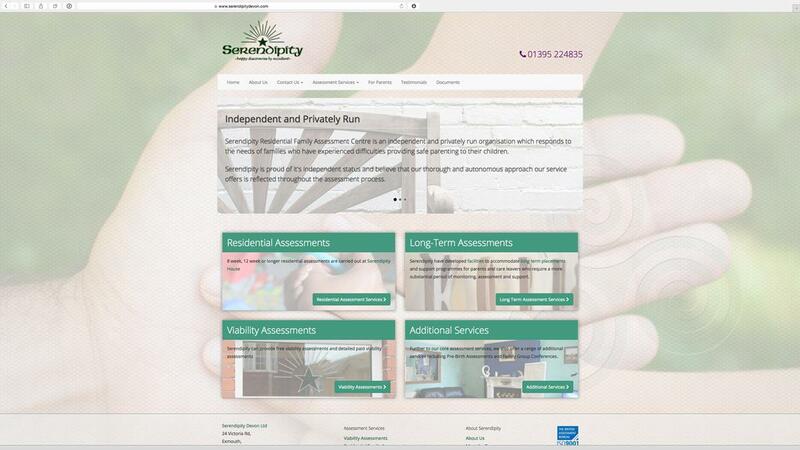 Serendipity aproached us to replace their ageing website with a modern, responsive site that would be easy for both solicitors and social workers to navigate and to satisfy the questions often posed by potential residents.